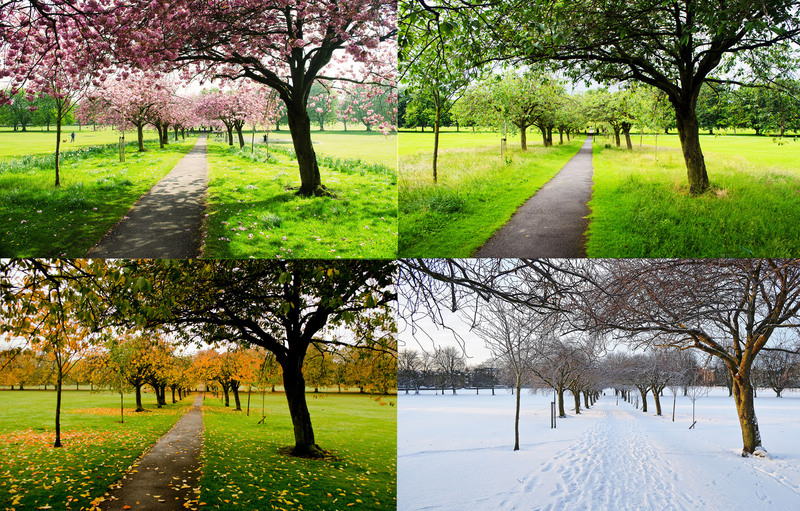 Quick … what’s your favorite season? Why? Mine is summer. I love the laid back feeling that comes with long, hot days, the smell of fresh cut grass, the sound of sprinklers. Each of us connects with the seasons in a different way. A particular season may trigger certain memories or feelings, alter our moods or even our behavior. It’s not a new concept – acknowledgement of seasonal mood disorders dates back to the fourth century Greek philosopher Posidonius. I’ve been noodling details of my new book and while most of the pieces were coming together nicely, something wasn’t right. I couldn’t for the life of me figure out what though. Then I read a blog post about making setting more than pretty scenery. Hello big bright, proverbial spotlight. The story was taking place during the summer. Actually, all of my women’s fiction manuscripts take place in the summer. Imagine that?! It wasn’t a conscious decision. Summer just seems to be my go-to season. The new story was working fine in summer, too. But you know that annoying little voice that insists something just isn’t quite right? Yeah, that one. The main character in this new book has returned “home” after sixteen years to deal with her father’s estate. She not only has to come to terms with the truth behind the tense relationship she’s had with her father her entire life, but also the secret that forced her away all those years ago and find the inner strength to stand up to the ghosts of her past. Nothing that can’t happen during summer, right? The idea of how a character might react differently to the same scenario based on environmental factors intrigued me. I started a few “what if” games. Guess what I discovered? Spring – Regeneration. Fresh green leaves. Flower blossoms. The first lawn mowers disrupting the quiet morning. Birds singing. Burst of new energy. Lighter clothes. The freedom of open windows. The smell of mulch. Optimism. Restlessness. Sleeplessness. Headaches as allergies kick in. Overwhelmed. Summer – Humidity. Heat. Fresh cut grass. Bare feet. Downtime. Hot breeze. Ice cream. Lemonade. Salty beach breeze. Sand. Chlorine. The music of the ice cream van. Lazy. Relaxed. Self conscious in summer clothes. Exposed. Lethargic. Cranky. Uncomfortable. Allergies. Fall – Crisp air. Vibrant colors. Rustle of leaves. Wood burning fireplace. Cozy scarves and hats. Apple cider. New start with school. Cozy. Sentimental. Excitement building up to the holidays. Depression leading up to the holidays. Winter – Crisp. Invigorating. Cozy. Comfort food. Warm blankets. Fuzzy socks and flannel pjs. Blinding white snow. The hush of the world after a snowfall. Snow plows scraping the streets. Blast of warm as you enter a building. Bare trees. Dead grass. Dark. Tired. Restlessness. Sleeplessness. Claustrophobic. Spring – Your character has been working in the garden, planting trees and flowers and installing a new fountain – the garden his wife has been dreaming about – when he gets the news that she was in a fatal car accident. How would he react on a beautiful spring day? Would he see the new growth as a sign that he needs to move forward? Would he grab the weed whacker and demolish all the new flowers because they shouldn’t live if she can’t. Summer – Your character has been struggling with her self-image and self-worth – everything in her closet has been shrinking, her son keeps talking about his buddy’s amazing mom who mountain bikes and plays football with them, and her husband has been a wee less attentive of late – when she finds out her job has been eliminated. Will the prospect of endless hot summer days send her into a panic of being seen in shorts, or worse a swimsuit, next to awesome mom and give in to the thought that in this heat there’s just no way she can measure up or keep up? Will the memories of relaxed summer days and long family vacations be the reminder that she needs down time to reconnect with herself and her family? Fall – It’s been one year since your character has lost her mother and the holidays are approaching when she discovers that after years of trying, she’s finally pregnant. Does the news pull her out of the fog of loss, into the mounting excitement of new holiday traditions? Or does the news set her off, she’s angry that after all these years of trying, now when her mom is no longer around to enjoy her grandchild, she finally gets pregnant? Winter – Your character has been waiting and waiting and waiting for her boyfriend to finally propose. It’s been a cold, miserable winter and she’s feeling a bit cranky when over a glass of wine by the fireplace, he proposes. Will she melt at the cozy, romantic setting and say yes? Or will the long, dark, frigid days that have kept them mostly bundled up inside backfire and make her feel smothered so that instead of saying yes, she’s breaking up with him? If a setting doesn’t feel quite right play the “what if” game with the seasons. Will a change of season alter how your story unfolds? I discovered that my character needed the crisp air of fall instead of the haze of summer. She needed to think about the upcoming holidays and the difference between spending another holiday alone in her fancy apartment or a luxury hotel in Paris. She needed the bundled warmth inside the stable during that first nippy day. Do you have a go-to season that most of your stories are set in? Do you make a conscious decision what season to use? Now just for fun, I found a survey that tells you what month you belong in. Mine came out Fall/autumn. Go figure! After years of pushing the creativity boundary in corporate communications, Orly decided it was time for a new challenge. Three women’s fiction manuscripts later (plus a handful of picture books), it’s safe to say she’s found her creative outlet. 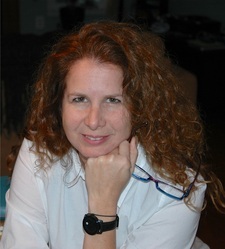 When she’s not talking to her imaginary friends, she’s reading or at least trying to ignore everyone around her long enough to finish “just one more paragraph.” Orly is the founding president of the Women’s Fiction Writers Association. You can find her on Twitter at @OrlyKonigLopez or on her website, www.orlykoniglopez.com. This entry was posted in Craft and tagged Orly Konig Lopez, Writers in the Storm, Writing Craft, Writing Inspiration. Bookmark the permalink. Orly, this is brilliant! my favorite season is fall, and yet I start every book in the spring – you know renewal, starting over, etc. You’ve made me think – maybe I need to vary that? I’m going to be interested to see in the comments, if everyone tends to start their stories in the same season, and why. You may have stumbled upon a trend we’ve never thought of before! Lori, did you decide that autumn was the right season because of how you saw the book unfolding? Love this post, Orly! And it all makes total sense. I think I’m a “Seasonal Affective” Writer – I tend to want to write whatever season I am currently experiencing. I just finished a story that takes place over five days in the dead of winter. I needed bad weather to drive my plot, so voilà! But it was easier to gain inspiration by staring out at the snowbanks, rather than sinking my toes in the sand on a beach. I’d rather be AT the beach, but that is another story! “Seasonal Affective” writer … love that!!! I really enjoyed this post and the creativity is very inspiring. Thank you. Orly, you’ve inspired me to shake things up! I’m going to try starting my next book in a different season and see what happens. Isn’t that interesting that we pick a season because it appeals to us as the author rather than what makes sense for the story. I was just thinking to myself last night about how I failed to put any clues of what season it is in my first draft. It’s so important to include even just a small description to get a better feel for the time period snd scene. I can’t believe I completely overlooked it! Anyway, thanks for the suggestions/advice on how to incorporate it. My favorite season is fall. The colors, the cooler air, the smell and the sound of leaves falling always brings a smile to my face. I love crisp, sweater-weather days. It’s what comes after that I’m not so thrilled about. Loved this Orly. I had to go through the seasons for the opening of my book because the Heros work is mostly seasonal and I need him free to make things work with heroine. Very good ideas! Glad of the lovely reminders. Great post! Wow! I never thought about the emotional implications of the season, but I see that I always choose spring. Since nature usually factors heavily in all my stories, I love spring and its renewal plus the promise of many months of good weather for my story to take place in. I hate winter myself, and have never thought of setting a story in it. Food for thought! Thanks, Barbara. I’ll admit I was rather surprised when I started playing the “what if” game with the emotional implications. Switching seasons made a significant difference. Cool. You just pointed out some season-related symbolism in my WIP that I didn’t know was there! I’l deny it later if anyone asks. I have never been one to really focus on setting in general, though I know it is potentially a great device in storytelling. However, I like this post because I feel like I can work with seasons (vs weather, which I think can get overused in metaphorical ways). Excellent suggestions for how to use them. Great idea, Orly. Setting is often like a character in my books (how can it not be in SF? ), but seasons and weather. Yeh, been thinking about weather for the next book. It’s looking a lot like winter. This is so fun, Orly! I’ll confess that I always put this kind of thing in last as I need it to fit the story. I wonder what would happen if I put it in first. This is really cool food for thought! With the main series I’m writing, I have to progress into certain seasons for the plot. The first book starts at the opening of Autumn, right after one of the protagonist’s birthday, and the next one has to have Halloween (well, Samhain, but Halloween happens too) in the plot. The third book will probably start in Winter, likely around the holidays. In general, though, I like to write what the weather around me is. Of two short stories I’ve written recently, one is set during a rainstorm, likely in Autumn or Spring (since it was pouring where I was), and the one I’m currently working on is sunnier, since the clouds seem to have moved on. With this said, I have had issues where I mean to write, but the inspiration slips away because the weather has changed. I mean, most people are happy when the sun finally shows up in Spring, but I have cursed it more than once when writing a piece set in tumultuous Autumn weather! I love taking advantage of the seasons. Tweeted and reblogged. Thanks for the great post Orly! I never really thought about the season my WIP is set in. I always imagied something warm and sunny, so I guess that would be summer, but it wasn’t a conscious decision. Now I realise how changing the season would affect my characters moods and thus the feeling of the story. I’ll have to put some thinking into this to see which season works best for this project, but I can already see how it can really help my setting!